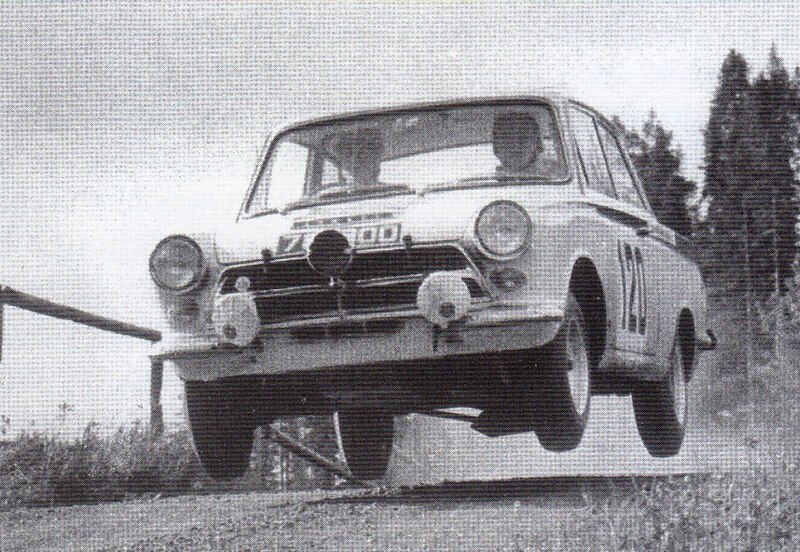 Only a handful of ‘A’ Frame Lotus Cortinas were prepared by Boreham for rallying. The cars proved to be so unreliable on rough territory (differential failure due to ‘A’ Frame design) that they waited until the leafspring version was homologated to get properly involved. 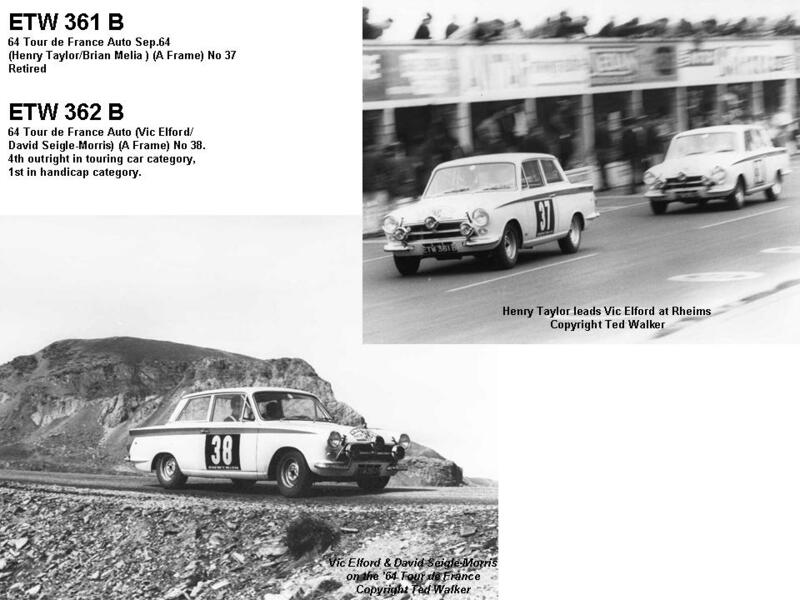 When the cars were first homologated in 1963, Boreham had a go with a few of the ‘BOO’ registered cars. 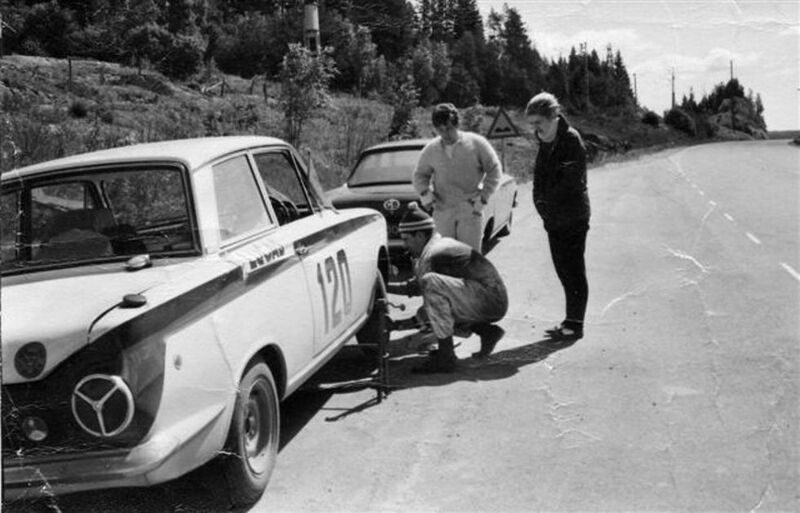 One car (781 BOO) was prepared for the Rally of the Midnight Sun (Pat Moss and Jenny Nadin) and another (786 BOO) for the RAC (Henry Taylor / Brian Melia). 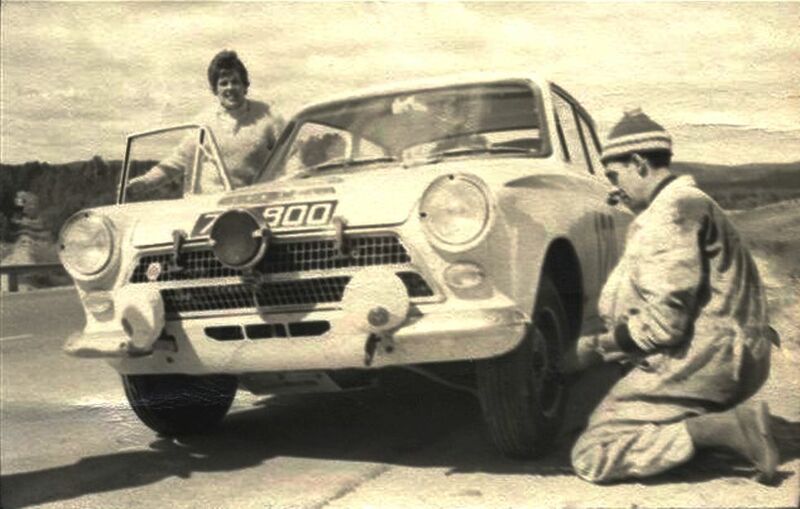 A few other cars were prepared by Boreham for ‘friends of Boreham) to use in smaller club level rallies, in order to determine their exact strengths and weaknesses. 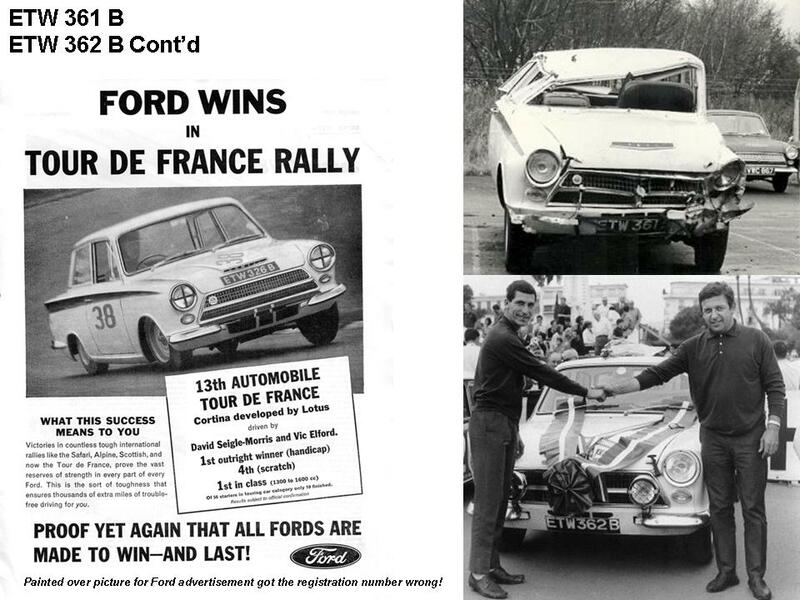 In the summer of 1964 they prepared two cars to enter the Tour de France, one of which crashed and the other won it’s class. The Tour was really more of a road race than a rally, so the cars fared very well. 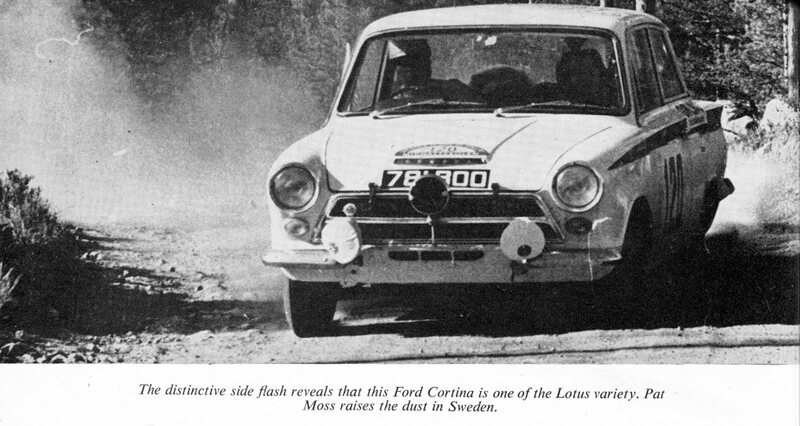 This was the first ‘A’ Frame Lotus Cortina prepared by Boreham for an international rally. 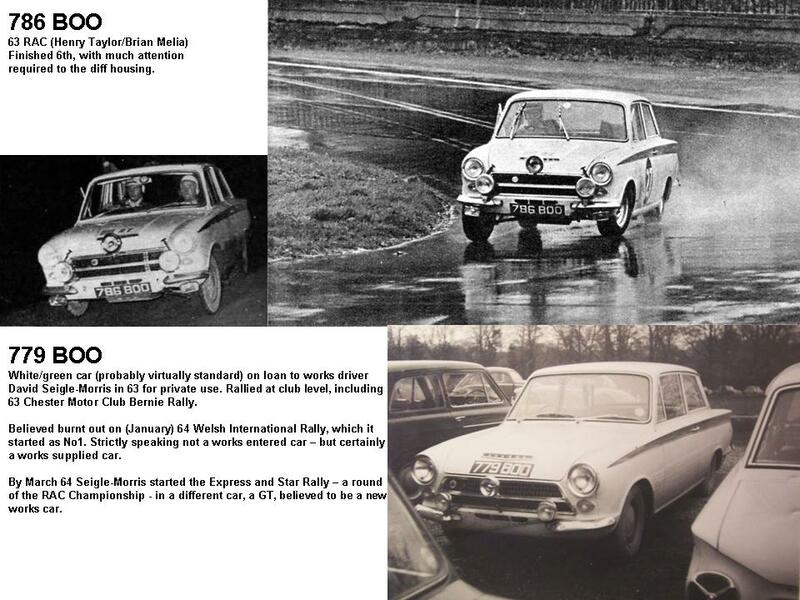 These two photos were sent to me by Mick Jones, who supported the car in the rally (that’s him in the bobble hat!). 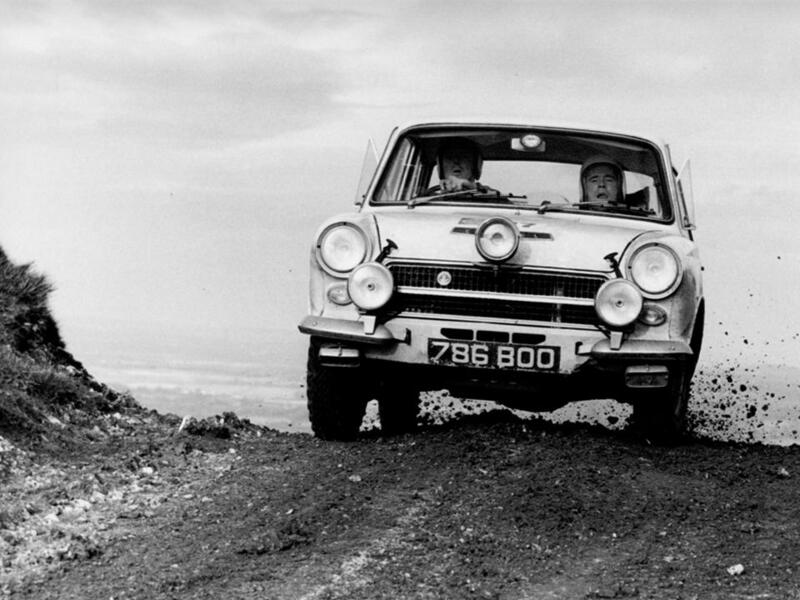 Mick was a great character in Boreham, ending up running the most successful rally team ever with the Escorts. Sadly, Mick passed away in 2016.